Disney on Ice is back at the Selland Arena and they are bringing a new friend! 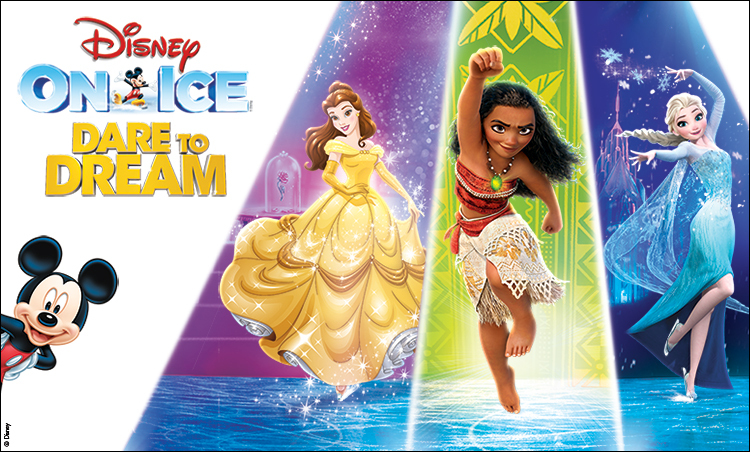 Moana is making her debut in Disney on Ice as she goes on a quest to save her island. Moana premiered back in November of 2016 to glowing reviews. Moana will also be joined by some of her royal friends, princesses Belle, Cinderella, Rapunzel and Anna, as well as Queen Elsa. Set to also make an appearance is Mickey and Friends. Dare to dream as you and your family are taken on fantastical adventures and be dazzled by the spectacular performances on ice. Disney on Ice returns to the Selland Arena, starting January 31st and tickets start at $18!